← New Luna Bar Flavors Revealed! “ALS—often referred to as Lou Gehrig’s Disease or Motor Neuron Disease (MND)—is a progressive, degenerative disease affecting motor neurons. In ALS, motor neurons gradually cease functioning and die. As this happens, the muscle tissues waste away because no movement is being stimulated. This results in gradually worsening muscle weakness, atrophy and often spasticity. Only the motor neurons are affected. Other nerve cells, such as sensory neurons that bring information from sense organs to the brain, remain healthy”. The Strike Out ALS 5K is a signature event organized by the Les Turner Foundation, a leader in research, patient support and education that serves over 90% of people with ALS in our community. As a new person is diagnosed with ALS every 90 seconds, runners are encouraged to garner $90 in donations. Ready to run? 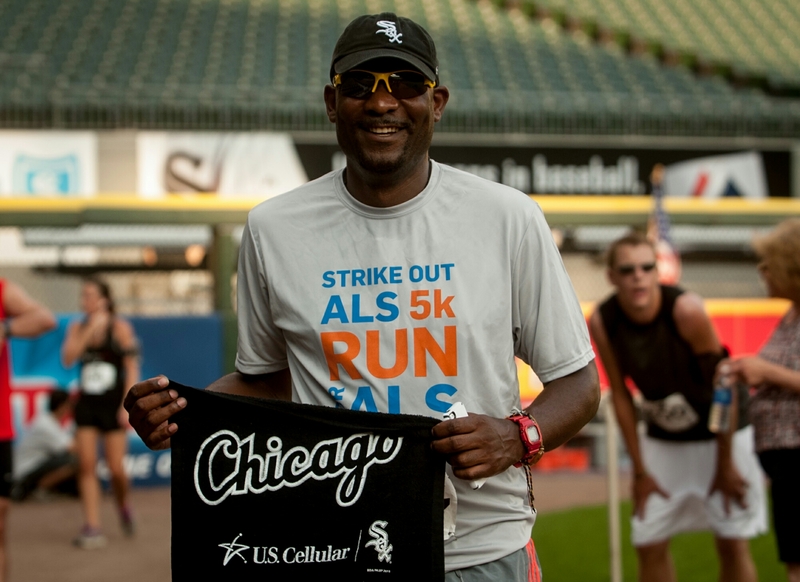 Participants in the The Strike Out ALS 5K get to walk or run on US Cellular Field (you’ll always be Comiskey to us, “Cell”) just like a White Sox player, and will continue on their jaunt through the historic Bridgeport neighborhood of Chicago. After you finish, join other soxy peeps with drink and bar specials at the field. This is all while helping make a difference in the lives of those diagnosed with ALS. Register here! AND JOIN US!! Hi to every body, it’s my first visit of this weblog; this web site includes remarkable and in fact good stuff in favor of visitors.